Frederickson, N., Miller, A. 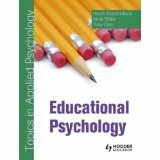 & Cline, T. (2008) Educational Psychology. (Topics in Advanced Psychology). London: Hodder Arnold. Miller, A. (2003) Teachers, Parents and Classroom Behaviour. A Psychosocial Approach. Open University Press. Galvin, P., Miller, A. & Nash, J. (1999) Developing and Revising a Whole School Behaviour Policy. David Fulton. Miller, A. (1996) Pupil Behaviour and Teacher Culture. London: Cassell. Gray, P., Miller, A. & Noakes, J. 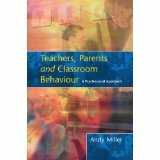 (1994) Challenging Behaviour in Schools: Teacher Support, Practical Techniques and Policy Development. London: Routledge. Watts, P., Pickles, T. & Miller, A. (1993) Special Care Professional Development Systems. Harlow: Longman. Miller, A. & Lane, D. (eds.) (1993) Silent Conspiracies: Successes and Scandals in the Care and Education of Vulnerable Young People. Stoke-on-Trent: Trentham Press. Lane, D. & Miller, A. (eds.) (1992) Child and Adolescent Therapy. A Handbook. Milton Keynes: Open University Press. Lindsay, G. & Miller, A. (eds.) (1991) Psychological Services for Primary Schools. Harlow: Longman. Miller, A. & Watts, P. (1990) Planning and Managing Effective Professional Development: A Resource Book for Staff who Work with Children with Special Needs. Harlow: Longman. Miller, A., Billington, T., Lewis, V. & DeSouza, L. (2007) Educational psychology. In Willig, C. & Stainton Rogers, W. (Eds.) The Sage Handbook of Qualitative Research in Psychology. London: Sage. Miller, A. (2006) Contexts and attributions for difficult behaviour in English classrooms. In Evertson, C. M. & Weinstein, C. S. (Eds.) Handbook of Classroom Management: Research, Practice, and Contemporary Issues. Mahwah, NJ: Lawrence Erlbaum. Miller, A. & Frederickson, N. (2005) Generalisable findings and idiographic problems: Struggles and successes for educational psychologists as scientist-practitioners. In Corrie, S. & Lane, D. (Eds) The Modern Scientist-Practitioner in Psychology. London: Routledge. Miller, A. (2003) Educational psychology and difficult pupil behaviour: Qualitative, quantitative or mixed methods? In Todd, Z. et al. (eds.) Mixing Methods in Psychology. London: Routledge. Miller, A (2002) So it’s your fault! Defining the responsibilities of teachers, pupils and parents. In B. Rogers (ed) Teacher Leadership and Behaviour Management. London: Paul Chapman Publishing. Miller, A (1994) ‘Mainstream teachers talking about successful behaviour support.’ In Gray, P., Miller, A. & Noakes, J. (Eds.) (1994) Challenging Behaviour in Schools: Teacher Support, Practical Techniques and Policy Development. London: Routledge. Miller, A (1994) ‘Parents and difficult behaviour: always the problem or part of the solution?’ In Gray, P., Miller, A. & Noakes, J. (Eds. 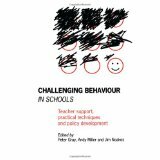 )(1994) Challenging Behaviour in Schools: Teacher Support, Practical Techniques and Policy Development. London: Routledge. Lane, D.A. & Miller, A (1993) ‘Silent conspiracies – what lessons can we learn?’ In Miller, A & Lane, D.A. (1993) Silent Conspiracies. Scandals and Successes in the Care and Education of Vulnerable Young People. Stoke on Trent: Trentham Books. Burden, R. & Miller, A. (1993) Intervention or prevention: applying educational psychology to therapeutic issues. In Miller, A & Lane, D.A. (1993) Silent Conspiracies. Scandals and Successes in the Care and Education of Vulnerable Young People. Stoke on Trent: Trentham Books. Callias, M., Miller, A., Lane, D.A. & Lanyado, M. (1992) ‘Child and adolescent therapy: a changing agenda’. In Lane, D.A. & Miller, A. 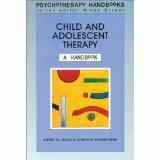 (Eds) (1992) Child and Adolescent Therapy. A Handbook. Buckingham. Open University Press. Miller, A. (1991) ‘The contribution of psychology’. In Lindsay, G. & Miller, A. (Eds.) (1991) Psychological Services for Primary Schools. London: Longman. Miller, A (1989) ‘Behavioural approaches and classroom realities’. In Reid, K. (1989) Helping Troubled Pupils in Secondary Schools (Vol. 1). Oxford: Blackwell. Miller, A., Robson, D. & Bushell, R (1985) ‘The development of paired reading in Derbyshire’. In Topping, K. & Wolfendale, S. (Eds.) (1985) Parental Involvement in Children’s Reading. London. Croom Helm.